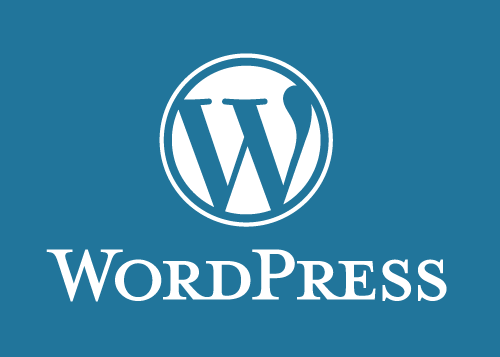 WordPress is quickly becoming one of the most popular blogging platforms available. It offers users a way to set up a blog that’s easy to learn and use. From a writer’s perspective, WordPress gives bloggers a breadth of freedom in the creation of their content. The same goes for blog administrators, as the platform allows for blog customization in terms of their appearance, navigation and general setup. Google Analytics may be one of the most useful WordPress plugins available. The installation of this plugin allows blog administrators to monitor the performance of their blog posts across a number of statistical categories. Considering that obtaining readership is one of the foundational goals of blogging, this information is invaluable for judging performance. The metadata that Google Analytics produces while installed on your WordPress blog includes feedback for different blog categories, traffic for each individual author and the impact of different tags. Whether you run a company that relies on this information for business, or are simply an independent blogger who’s curious for some feedback, these stats make Google Analytics an invaluable tool. The Sociable plugin provides blogs with an appealing and compact widget that allows visitors to easily share your post on social media platforms. This visual interface appears as a slider along the side of your posts, and at the end of the post. Users are able to choose the color scheme and icons that appear on the slider. In terms of a means for prompting people to share you work, Sociable is one of the most sleek and efficient plugins available. NexGEN Gallery is WordPress’ most widely used image gallery generator. This plugin gives bloggers the luxury of dictating the organization and appearance of the images within their posts. Images may be uploaded in batches or individually, grouped into albums and then formed into slideshows. Further capabilities include creating thumbnail galleries, adding watermarks and adding unique image titles and descriptions. This plugin enhances user’s control over their blog’s appearance and navigation by offering fully customizable fields upon which content and menus can be built. Input types for these fields range from simple text to image galleries and drop-down menus. Users may dictate the size, color and navigation style that they prefer for the media and content that appears on their blog. While the basic WordPress package gives you control of your blog’s interface, Advanced Custom Fields takes blog development to the next level. Jetpack is a multifaceted, all in one catalyst for improving your blog’s accessibility and functionality. When installed, Jetpack provides bloggers with statistics, automatic posting to social media. It also has has After the Deadline, which is an automatic grammar, spelling and style checker. Other advantageous features include a mobile theme for smartphone users, efficient media embedding and toolbar notifications for monitoring your blog’s activity. As far as WordPress plugins go, Jetpack may be the most influential as it positively impacts numerous facets of your blog. nice post… all above plugins are very useful to your new wordpress site. personally two of them are new for me and i will used it my own blog..thanks..